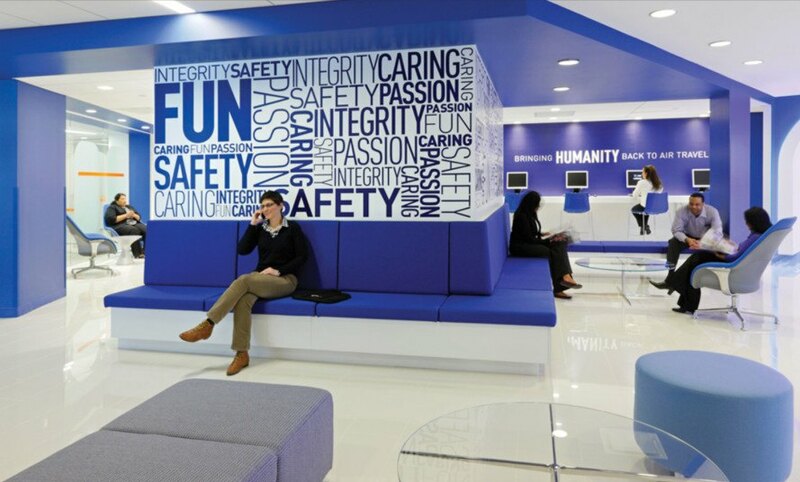 JetBlue’s Long Island City, Queens offices are decked out in the company's signature color, but underneath all of that cobalt is a layer of bright green. Designed by HLW International, the environmentally friendly oasis mirrors the look and feel of the company's home base at JFK’s Terminal 5 with sleek, glassy partitions and bold graphic wall treatments. Boasting a LEED EB Silver certification, the sprawling workplace is filled with natural light and fitted out with sustainable furniture and carpeting. 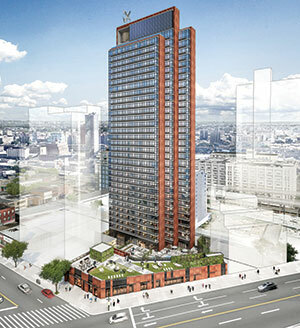 The architectural firm of FXFOWLE is never exactly revolutionary in its aesthetic inventions, but it nevertheless usually succeeds in coming up with thoughtful and arresting forms that add something to the urban fabric of the city.